The Nigerian Naira, yesterday, appreciated to N359 per dollar in the parallel market. 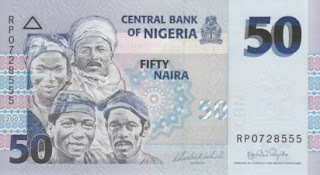 According to naijabdcs.com, the official live exchange rate platform of the Association of Bureaux De Change Operators of Nigeria (ABCON), the parallel market exchange dropped to N359 per dollar from N359.5 per dollar last week Friday, indicating 50 kobo appreciation of the naira. However, the naira, yesterday, depreciated by N1.68 kobo in the Investors and Exporters (I&E) window which is as a result of a 20 percent decline in the volume of dollars traded. Data from FMDQ showed that the indicative exchange rate for the window rose to N365.68 per dollar yesterday from N364 per dollar last week Friday, translating to N1.68 kobo depreciation of the naira. The volume of dollars traded on the window yesterday dropped by 20 percent to $113.23 million from $140.91 million traded last week Friday.